Gibraltar’s Gibdock shipyard has completed an extensive package of work on Solstad Shipping’s Normand Cutter. The 127m long, 10,979grt construction support vessel (CSV) left the yard on June 29th following a 22-day drydock programme, which included a comprehensive overhaul of its entire propulsion system. 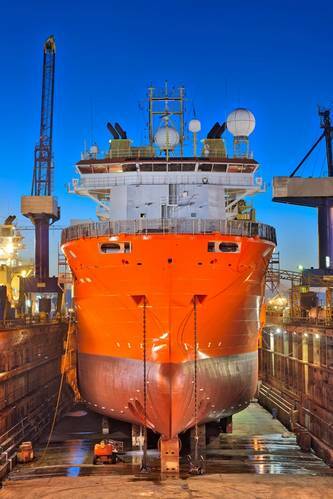 Norway-based Solstad has become a regular Gibdock customer, entrusting the yard with work on a number of high-tech offshore vessels over the past decade. The 2001-built Normand Cutter is in fact a repeat visitor to the yard, having previously docked at Gibdock in April 2011 for its last 5-year special survey. Gibdock managing director, Richard Beards, says: “We are delighted that such a well-respected, quality operator as Solstad has decided to come back to us once again. Their continued support is much valued and appreciated and this project further demonstrates that we have become the ‘go to’ yard for offshore vessel work in the region. The scope of work commissioned by Solstad for Normand Cutter included maintenance and repairs to key components of its propulsion system. Its five Brunvoll thrusters were removed and transported to the yard’s workshops, where they were stripped down and overhauled before being returned to the ship and reinstalled. Similarly, the vessel’s two tailshafts and CPP propeller hubs were withdrawn and overhauled, as were the two rudders. The rudder tiller flaps were removed, machined and refurbished as part of this process. In addition, the two gearboxes, port and starboard, were also overhauled. Gibdock has secured a number of offshore vessel projects this year, despite the challenging market conditions in the offshore sector. 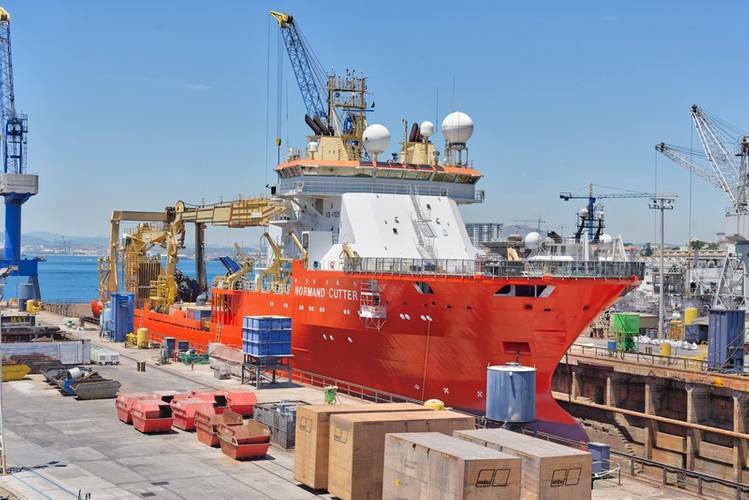 At the time of Normand Cutter’s departure, three more offshore vessels were in the yard.